At least you are the legal age of maturity according to our society. But becoming a man is more than reaching a milestone. It’s a process that began on that day eighteen years ago when you took your first breath and will continue until that time in the future when you take your last. Being a man is not about accomplishments, athletic prowess, mechanical ability or financial assets. Being a man is more about character, compassion and courage. A man has character when he is a person of integrity who can be depended on. A man has compassion when he not only cares for others, but demonstrates it by putting their best interests ahead of his own. A man has courage when he does what is right even what it's difficult. I believe you are a long way along this journey to becoming a man. You have learned so much already. You show so much promise. Remember who you are. Decide your values and what is important to you and live them out. Don’t be afraid to be an individual. Listen more than you speak. You will learn more by paying attention to what others have to say, and people appreciate being heard. Be selfless. Let someone else have the nice chair, closer parking space or last slice. Look for simple ways to help others. Keep your promises. Doing what you say you will do is a rare thing in our world today. It is one of the easiest ways to stand apart. Be confident but stay humble. You can accomplish anything you put your mind to, so don’t doubt your abilities. On the other hand don’t think too highly of yourself. There is no substitute for hard work. The process of working toward a goal is often as rewarding as the achievement itself. Intelligence and wisdom are not the same. Intelligence is the ability to learn. Wisdom is using knowledge and experience to make good choices. You can be both. Never stop learning. There’s a whole world to be explored beyond the classroom long after graduation. Embrace “IT”. Whatever life throws at you, embrace. Change, obstacles, accomplishments, difficulties, adventures, success, failure are all opportunities to grow. Enjoy the moment. Love outrageously! Be a man who is known by his affections and his actions. Value your family and forge friendships that last. 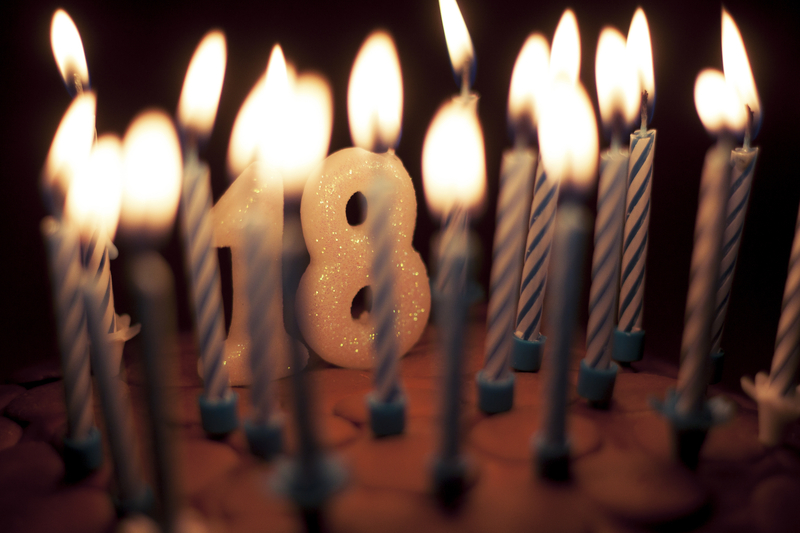 These eighteen years you have been alive also happen to coincide with the best eighteen years of my life. That’s no coincidence. Your coming into this world has profoundly changed mine. No words can adequately describe my love, my pride and my hope for you. I am blessed to call you my son. And today I am also pleased to call you a man. What's one thing you want your teen to know upon turning 18 years old? This post is from Richard Beaty. Richard is the father of three who directs TEAM DAD, a Responsible Fatherhood program of Douglas-Cherokee Economic Authority. Find Richard atwww.team-dad.org or on Twitter @TeamDad1. Interested in blogging for us? Read our guest blog guidelines.